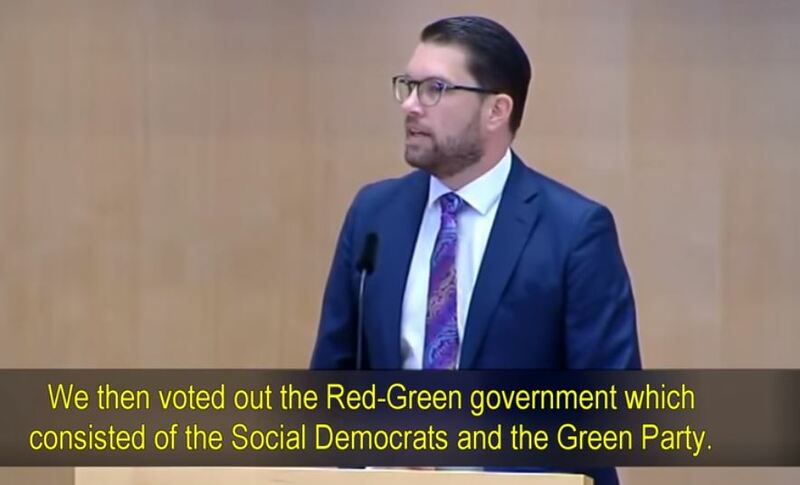 Swedish ‘democracy’: The people vote out Red-Green government, four months later, there’s a new Red-Green government……. – The Tundra Tabloids……. The political chuckleheads in Finland are applauding the result. The pseudo-conservatives and across the board. The Swedish pseudo-conservative Party ‘Moderaterna’, rejected any coalition including the Sweden Democrats, so by default, handing the government over to the Marxists. Disgusting. Previous Post Previous Post Sweden: Newly minted Minister of Interior under fire for heaping kudos on Muslim Jew-hater Mehmet Kaplan……. Next Post Next Post Finland: Immigrant integration expert says “We’ve failed to successfully integrate people from Middle East and Africa, we need to do more”……..